Pure Windows is one of the largest double glazing companies in the South of England operating in both the wholesale and retail sector. We have been consulting with Pure Windows for the past few years on numerous aspects of their business. During this time we have devised and executed a number of innovative sales and marketing strategies whilst consistently creating new and profitable revenue streams in target market segments. Since 2009 we have devised a number of innovative marketing strategies specifically designed to grow the company’s revenue, increase order values and improve gross profit margins in the retail, wholesale and commercial sectors. Such strategies include; Using Google Earth in line with a new product launch from Firestone in the UK to identify properties which required work; Reshaping and developing a large marketing department overseeing the recruitment, training and management of a team of over 30 staff; introducing campaign management software to facilitate “closed loop” marketing. Keeping marketing cost efficiency consistently less than 10% whilst generating between £2 – 3 million annually. 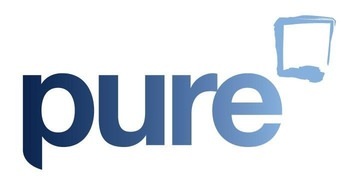 One of the first things we did with Pure was to establish a process of Strategic Organisational Management. This involved preparing a series of detailed strategic reports for the company Directors covering various aspects of the business including: Business Strategy, Sales and Marketing Strategy, HR Strategy, Change Management amongst others. This provided senior members of the organisation with the business insights required to collaborate via Strategic Thinking and pro-actively consider opportunities for positive changes for the organisation’s future so as to create a competitive advantage. Overall we have significantly improved the efficiency of the company by eliminating waste along the value chain and greatly improving administration systems, implementing CRM applications and integrating KPI reporting within their business processes in order to analyse all aspects of business performance. The company has undergone a process of ‘lean transformation‘ and is now agile and forward thinking in its approach to modern day business. We have helped Pure recruit and select a range of highly skilled and dynamic individuals covering a range of different job roles including: Sales, Marketing, Operations and Administration. We have successfully established a strong strategic partnership with local Universities in order to recruit and acquire talent at grass-roots level and subsequently shape and develop graduates into key members of staff with specific skills and core competences to help the organisation grow. Training and developing Pure’s staff alongside delivering Strategic Human Resource Management (SHRM), has been key to improved business performance. ‘Talent Improvement‘ and regular appraisals offers staff many opportunities to further their development with both ‘on’ and ‘off’ the job training. Pure has adopted ‘Effective Resource Allocation‘ so that the right people are in the right place at the right time which has in turn helped ‘cost reduction’ and improved staff retention. We have designed and executed strategic E-Marketing campaigns, specifically targeting key market segments resulting in a substantial increase in enquiries and subsequently new business acquisition for various products. E-Marketing is now an important aspect of Pure’s lead generation activities. We have devised a number of successful telemarketing scripts as a powerful route into the B2B market. We have helped with researching key target market segments and data harvesting by prospecting and building a large database of clients which have been integrated into a Customer Relationship Management (CRM) system which we helped implement in order to increase sales, boost efficiency and improve customer retention and loyalty. We have provided expert Internet Marketing Consultancy including all aspects of the specification of the design and build of their website, such as copy written content, SEO and graphic design. The website now ranks highly for key search terms in their target areas for windows, doors and conservatories.